You are here: Home / examinations / Fraud / Individual rights / law / What are some examples of Individual rights during examinations in fraud cases? What are some examples of Individual rights during examinations in fraud cases? Because many fraud examinations might lead to legal action, fraud examiners should be familiar with the basic rights and freedoms of those involved in investigations, especially of those suspected of fraud. Being knowledgeable about individuals’ basic rights and freedoms is particularly important for fraud examiners conducting investigations that could result in criminal action. The gathering of evidence, for instance, in violation of the law may result in the expulsion of that evidence later at a criminal trial. Accordingly, if the fraud examiner has any reason to believe that his investigation might ultimately result in legal action being taken against the subject of an examination, it is best to conduct the investigation in accordance with the rights guaranteed under the applicable laws. Also, employees involved in investigations of suspected fraud may have certain rights and obligations, and fraud examiners should be aware of any such matters. Again, employees involved in investigations of suspected fraud have certain duties and rights, whether they are merely bystanders who could have some information relevant to the investigation or are suspected of committing fraud. Employee duties and rights, however, vary among jurisdictions and from case to case, but generally, such duties and rights apply to employees who work in government and privatesector workplaces. Thus, private and government employers can violate their employees’s legal rights. In most jurisdictions, a duty to cooperate exists in every employer/employee relationship, but such duties vary. In the United States, for example, some states have statutes defining the scope of this duty; in others, the duty is found to be implied from the basic nature of the employment relationship. Generally, the duty to cooperate extends to workplace investigations; therefore, employees have a duty to cooperate during an internal investigation as long as what is requested from them is reasonable. What is reasonable is determined by the facts and circumstances of the particular case and by the duties for which the employee was hired. For example, if inventory items were missing, it would probably be reasonable to request that a warehouse supervisor review inventory records because this falls within the scope of his work duties. But under such facts, it might not be reasonable to ask the same supervisor to review detailed tapes from the company’s cash registers, and it almost certainly would not be reasonable to ask the warehouse supervisor to let company investigators search his personal residence. The issue of whether an employee has a duty to cooperate often comes up when investigators seek to interview employees about suspected workplace misconduct. In general, interviews should be considered reasonable if they address matters within the scope of the employees’ actions or duties. Employees may have a duty to preserve relevant information. Common law jurisdictions, in which litigants are usually obligated to disclose relevant information to the opposing side, impose a duty on litigants to take affirmative steps to preserve relevant evidence, and this duty might arise prior to the commencement of litigation. For litigation occurring in common law courts, the duty to preserve relevant evidence typically arises when litigation isr easonably anticipated or contemplated. When an organisation is involved in litigation, this duty to preserve applies to the organisation’s management, and it extends to employees likely to have relevant information. A violation of the duty to preserve occurs when information that is relevant to anticipated or existing litigation is lost, destroyed, or otherwise made unavailable. But in civil law systems, in which the primary responsibility of discovering evidence is placed on the presiding judge, there are no specific rules requiring litigants to preserve information for discovery because there is no common-law-style discovery in civil law systems. Consequently, civil law systems tend to have a more narrow scope of what evidence is required for litigation, and the issue of when to take affirmative steps to preserve evidence is established by the court. Violating the duty to preserve relevant information can result in several adverse sanctions for the offending party, and such sanctions can arise from both intentional acts and accidental acts through negligence. The adverse consequences can include, but are not limited to, monetary penalties (e.g., paying the opposing party’s legal fees and costs), the drawing of adverse inferences of fact, and criminal penalties. The theory behind such consequences is that the individual who makes evidence unavailable following the probable initiation of a lawsuit is aware of its detrimental effect upon a case. Employees may have contractual rights that are enforceable against their employers. Employers and employees may enter into contracts that govern the employment relationship, and if the employer violates the contract, the employee can sue for breach of contract. Such contractual rights can affect the employer-employee relationship and, in particular, they can limit the ability of the employer to compel full cooperation in a fraud examination. Often, employee contractual rights at issue during investigations stem from a union contract, a collective bargaining agreement, or an employment contract. For example, if the employee is a member of a union, the union contract or collective bargaining agreement might contain certain clauses that restrict the employer’s investigatory procedures. Additionally, employees might have a written employment agreement containing provisions concerning the employees’ rights during an investigation. Generally, such contracts can be express or implied. Just because the employer does not have a written, signed, and formalised contract with an employee does not mean that there is no agreement in place. Many courts have held that company policies, employee manuals, and past practices can create “implied” contractual relationships between the employer and the employee. Many jurisdictions have whistleblower laws designed to encourage individuals to bring forth complaints of wrongdoing by providing protections for those who report unlawful conduct. These laws shield employees who report their employers for misconduct by protecting them from any adverse employment action or retaliatory action from their employers. Whistleblower laws do not, however, prevent individuals from being fired for engaging in unrelated fraudulent behaviour. More than 12 countries have comprehensive whistleblower protection laws, and more than 50 countries have adopted more limited protections for whistleblowers. In the United States, for example, there are numerous federal laws protecting whistleblowers from retaliation or illegal treatment and every state has some form of anti-retaliation legislation protecting whistleblowers. Similarly, in the United Kingdom, the Public Interest Disclosure Act 1998 (PIDA) protects employees against being subjected to any retaliatory action on the ground that they made a protected disclosure—instances concerning criminal offences, miscarriages of justice, environmental damage, etc.—about their employer or coworker. Therefore, employers should not conduct investigations as a means to retaliate against employees, and they must be careful to conduct investigations in a way that avoids the appearance of retaliation. Likewise, management should consult counsel before discharging or taking action against any individuals to determine the applicability of any whistleblower protections. Employees may have certain privacy rights that can affect numerous aspects of the employer-employee relationship, such as conducting investigations, surveillance and monitoring, searches, and polygraph testing. An employee’s privacy rights may stem from, and be protected by, various sources of law, including constitutional law, human rights law, statutory law, common law, labour law, contract law, and other sources. Different countries approach the issue of employee privacy differently. An employer, in certain circumstances, can use monitoring and surveillance methods to uncover employee wrongdoing. Employers have an interest in promoting workplace efficiency and protecting themselves from liability, and surveillance can be used to achieve such ends. But because employees have privacy rights in the workplace, an employer’s surveillance practices may infringe on such rights. Various national or local laws govern the availability and methods of such techniques. Additionally, because various laws govern monitoring and surveillance practices, these laws are complex and their principles can be interpreted differently in different jurisdictions. Accordingly, legal counsel should always be consulted before engaging in any such practices. To complicate things further, the privacy laws might vary depending on the type of surveillance. Although an employer might use surveillance techniques to investigate its workplace for wrongdoing, its employees may have privacy rights that protect them from such activities. In general, employees are afforded privacy protection in areas where they have reasonable expectations of privacy. Employers generally can investigate their workplaces by means of workplace searches and area surveillance, but employees may have privacy rights that protect them from certain forms of searches and surveillance. In general, privacy laws prohibit unreasonable searches and surveillance in areas where employees have reasonable expectations of privacy. There are no easy rules for determining whether an employee has a reasonable privacy expectation in a particular area. Some areas in question might include a desk drawer, a file cabinet, a locker, or even an entire office, depending on the circumstances. The key issue to consider when assessing the existence of a reasonable expectation of privacy is whether a reasonable person would expect the area or item to be free from intrusion. The employee does not have to have an ownership interest in, or legal custody over, the area or item to have a reasonable expectation of privacy in it. Thus, even though an employer might own the office where an employee works, that employee can still have a privacy interest in the office that prohibits the employer from conducting a search or surveillance. One of the key factors used to determine the existence of a reasonable expectation of privacy is the amount of control an employee exercises over the area or item to be searched. If, for example, the employee has exclusive control over the area or item in question, this fact tends to show that the employee has a reasonable expectation of privacy in that area or item. For instance, assume that an employee has a file cabinet in his office, that the employee is the only person who uses it, that the cabinet has a lock on it, that the employee is the only person with a key, and that the cabinet remains locked when the employee is not using it. These facts indicate that the employee has exclusive control over the contents of the cabinet, and thus has a reasonable expectation of privacy in its contents. In other words, based on the circumstances, the employee would be justified in believing that others cannot and will not enter the file cabinet without his consent. The employee in this scenario has a protected privacy interest in the contents of the file cabinet. A search of this file cabinet by the public employer would have to comport with the reasonableness standard as discussed above. Conversely, an employee probably cannot claim a privacy expectation in a work area that is open to the public and shared with other employees. 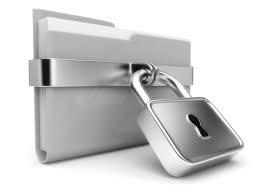 For instance, using the previous example, assume that the file cabinet does not have a lock, that several employees store and retrieve files from it, and that it is generally understood that employees can access the cabinet’s files without the employee’s consent. Under these facts, the employee cannot reasonably expect that the contents of the cabinet are private. Under these facts, the employee would not have a reasonable expectation of privacy in the file cabinet; therefore, a search of that file cabinet would probably not violate his rights. Reasonable privacy expectations can also attach to communications, such as data stored on hard drives and other electronic communications like phone calls, emails, and text messages. In terms of surveillance, employees are likely to have reasonable privacy expectations in bathrooms, changing rooms and other personal areas within the workplace. Obviously, there are many factors that go into determining whether an employee has a reasonable expectation of privacy. Before conducting a search or surveillance, employers should discuss it with legal counsel to make sure they are not intruding upon an employee’s privacy interests. Employers can reduce their potential liability for violations involving searches and seizures by lowering employees’ expectation of privacy in the workplace. If an employer puts employees on notice that their offices, desks, files, voice mail, computers, and so forth are not private, then employees cannot assert that they have a reasonable privacy expectation in those areas. The policy should also notify employees that computer systems (including the Internet, email communications, hardware, and files) are solely for business use, and that the company reserves the absolute right to monitor, review, audit, and disclose all matters sent over the system or placed in storage. In addition, the policy should state that workplace areas are subject to surveillance and that business phone calls may be monitored. Employers should take appropriate steps to ensure that all employees are aware of and understand the privacy policies. For instance, management should give a copy of the policies to new employees when hired and have them sign an acknowledgment that they read and understood the policies. Employers should provide all employees with copies of changes or updates to the policy and post policies in a prominent place in the workplace. Such actions are necessary because, unless otherwise informed, an employee may have an expectation of privacy in an item that his employer needs to search. When policies are in place, the courts have held that an employee has no (or a very low) expectation of privacy. Therefore, communicating policies to employees substantially reduces the risk of privacy violations.